Game News: CapCom Debut New 'RESIDENT EVIL 6' Game Trailer! 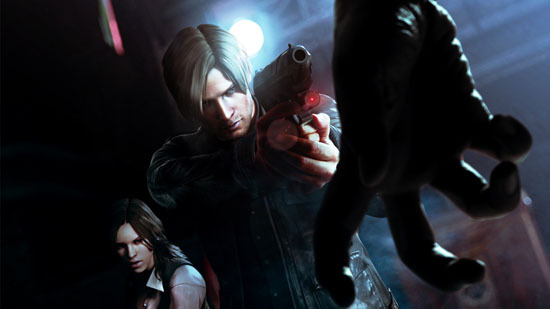 Resident Evil 6 is set to hit shelves this October 2nd on PS3 & Xbox 360 [the PC version arrives later on]. The latest installment in the epic franchise sees Leon, Chris, Jake, Helena, Piers & Sherry battle out a ruthless infection through three separate playable campaigns. Its been ten years since the incident at Raccoon City & the President of the United States has decided to reveal the truth behind what took place. Raccoon City survivor & personal friend of the President, Leon S. Kennedy, arrives to find the President transformed beyond recognition by a bioterrorist attack. Leon is forced to make the hardest decision he has ever made. At the same, Bioterrorism Security Assessment Alliance Member, Chris Redfield arrives in China, itself under threat of a bioterrorist attack. Wowzerzzz! Hit the jump for the details. I'm reading: Game News: CapCom Debut New 'RESIDENT EVIL 6' Game Trailer!Tweet this!